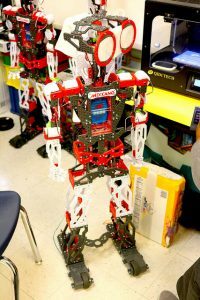 Avondale Elementary School gifted with three robots and 3D printers. One speaks Spanish. The other gives you a hug. The last one throws paper before cleaning it up. Not bad for three student-built and student-programmed robots. The Avondale Elementary coding and robotics program was gifted the three robots—along with three 3D printers—from the Avondale Elementary School Education Foundation (AESEF) in January 2018. According to Avondale Elementary mathematics teacher and technology specialist Gwendolyn Reynolds, the gifts—valued at $148.99 each—are a welcome addition to the classroom. The robots were used by Avondale Elementary students at the 2018 DeKalb County Technology Fair on Feb. 3. 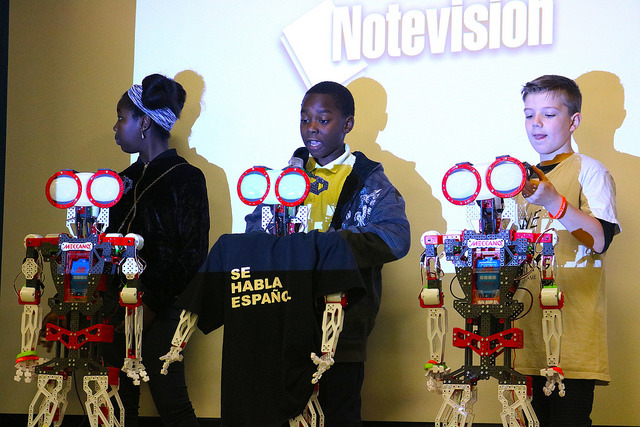 Using custom code, the students instructed the robots to speak Spanish, give a hug and high-five, and sweep the floor. Avondale Elementary student Brody Wierda, who helped build the robots and competed at the 2018 Tech Fair, said he likens them to big toys. The robots also allowed him to show his passion for building in the classroom. AESEF also gifted Avondale Elementary three 3D printers. The printers—which vary in size—can produce a real, printable object using plastic and a computer-generated design. 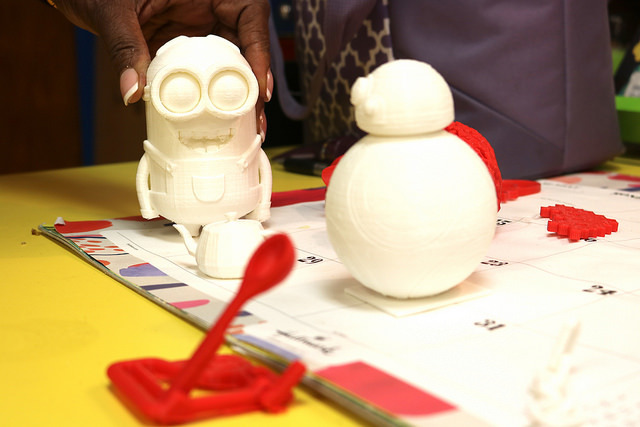 With help from the 3D printers, in recent years, students have developed magnetic shoelaces, molds of popular fictional characters, headphone stands and other award-winning designs. The different sizes of 3D printers allow the students to accomplish more. AESEF chair Keith Sagers said the foundation is constantly looking at ways to reduce barriers and increase opportunities to education. Reynolds said the tools help Avondale Elementary students keep up with ever-changing technologies in the modern world. Reynolds said she hopes to have Avondale Elementary STEM-certified soon with the implementation of a STEM garden.